Edward Bridge “Ted” Danson III was born on December 29, 1947. Danson made a number of guest appearances in television series in the late 1970s and early 1980s, including Laverne and Shirley, B.J. and the Bear, Family, Benson, Taxi, Magnum, P.I., and Tucker's Witch before securing the role of Sam Malone in the long-running and popular sitcom Cheers in 1982. Ted Danson is a committed environmentalist and he has donated substantial sums from his own resources to environmental causes. 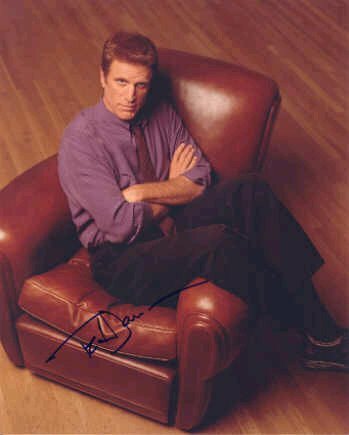 To download and save this celebrity autograph of Ted Danson simply place your cursor over the celebrity autograph and right click on your mouse, then download the celebrity Ted Danson autograph onto your hard drive!